Animal Scents Products support the proper growth and normal life cycles of a wide variety of animals. Many people have found benefits from using a variety of Young Living’s essential oil products for their pets. In addition, the oils are unadulterated. Above all, with great care taken in their distillation process. Young Living offers the highest quality organic essential oils and products that we have found. 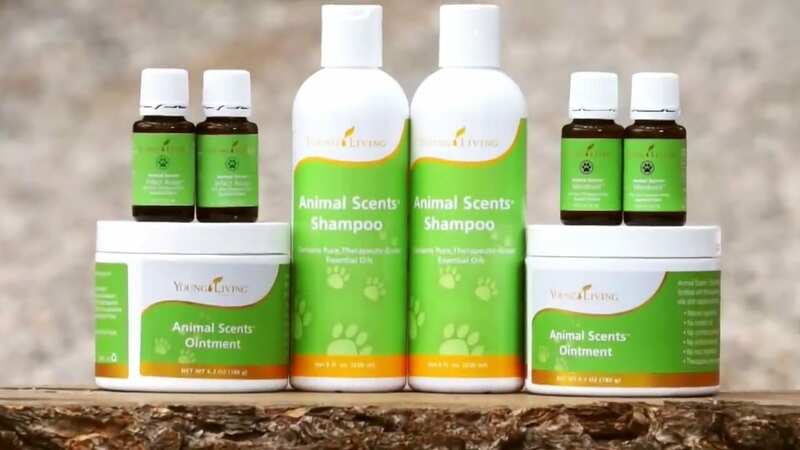 Young Living’s Pet products are made with a rich blend of ingredients. 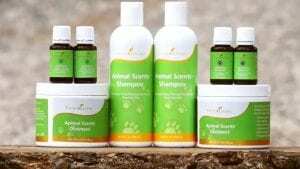 These products are effective yet gentle and safe. You can soothe your pets without using harmful chemicals or synthetic products. Animals Scents Ointment is a protective and soothing salve for external use only. This ointment pairs well with many of the essential oils. Apply the essential oil first so that it can be absorbed into the skin and then the ointment on top to protect. If you are passionate about your pet, you will love the non-toxic natural ingredients in our Animal Scents Shampoo. Give your four-legged friends the shampoo designed especially for them. Young Living LOVES animals, both large and small! They have many farms where they grow the plants for our essential oils. In addition, they have many animals are on these farms. Animal Scents Dental Pet Chews are tasty treats that support oral health. For instance, they are specially designed with ridges that gently remove buildup on your pet’s teeth. Oral care is important for your furry friends. Support your pet’s oral care with this simple snack! Animal Scents Puriclean is a blend of 12 essential oils featuring Cistus, Citronella, Lavendin, Lavender, Lemongrass, Tea Tree, Mountain Savory, Myrtle, Palo Santo, Patchouli, and Rosemary. Animal Scents Mendwell Essential Oil blend is a combination of essential oils including Geranium, Lavender, Hyssop, Myrrh, Frankincense and the exotic Hinoki essential oils, that are known to support the skin and immune system. Animal Scents Infect Away Essential Oil supports healthy skin for dogs, cats and horses includes essential oils. Healthy non-toxic support to maintain for your pet’s well being. Animal Scents T-Away was formulated with a soothing scent for your animal to support a new level of emotional freedom and joyful feelings. This oil blend supports mental and emotional well-being, releases trauma and negative memories and blocks. Animal Scents RepelAroma blend is a unique oil combination of purifying and invigorating Citronella, Idaho Tansy, Palo Santo, and Tea Tree essential oils—your pet will love being outside!